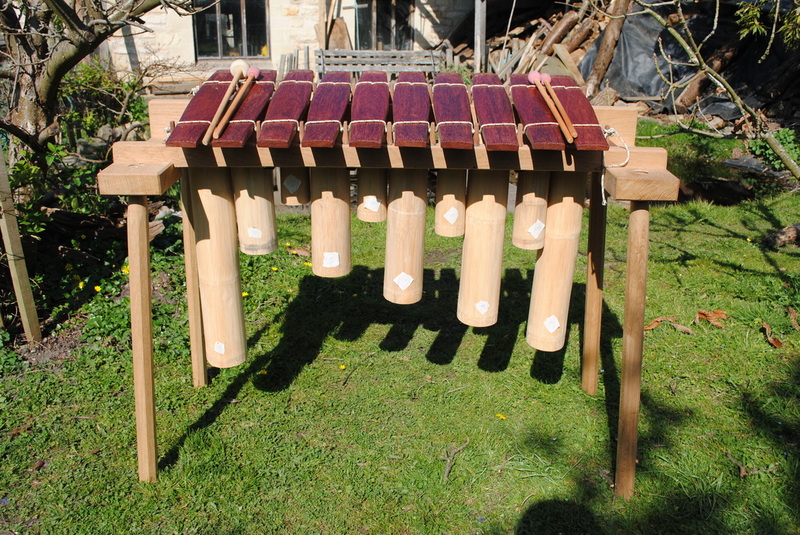 Outdoor musical instruments for schools, playgrounds, sensory gardens, parks and public spaces. Tuned percussion, xylophones, marimbas, batphones, metallophones, lithophones, tubular bells and gongs. Handmade using African and Indonesian influences with bespoke designs adapted to support specific needs. These large, strong, and beautiful outdoor musical instruments are designed to complement schools, playgrounds, sensory gardens, public spaces/buildings, and park/forestry settings. 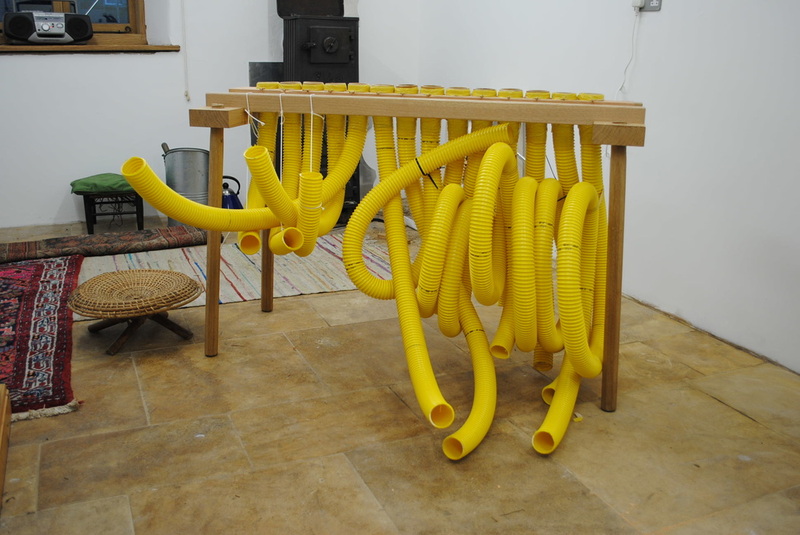 People of all ages and abilities enjoy these instruments which are designed to stimulate the senses, being sonorous, visually striking and highly tactile. The instruments are built to last using quality materials throughout. Made using traditional African and Indonesian techniques coupled with academic knowledge of acoustics and construction. These instruments are strong and beautiful, they sound fantastic and continue an acoustic instrument making tradition. Instruments can be designed and constructed with individuals or groups to accommodate specific needs and abilities. The design process involves gaining a thorough understanding of the intended players requirements and skills through visits and discussions. Unique instruments are therefore created which work well for the individual. 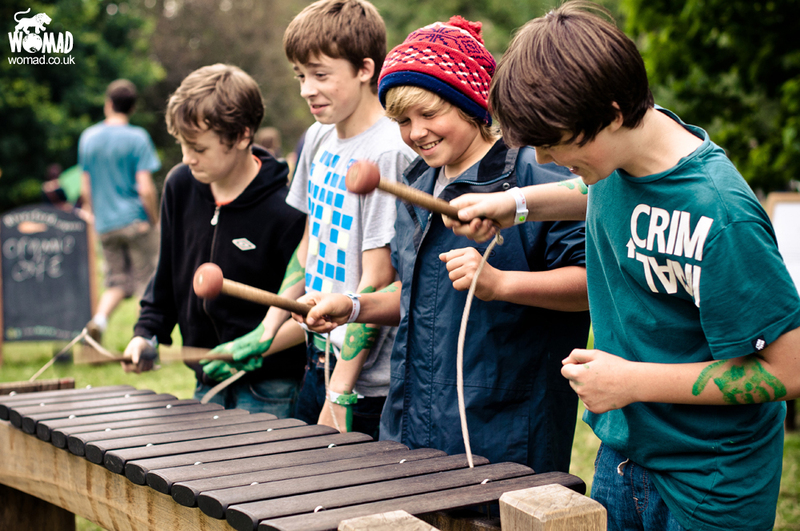 10 – 11 am Jamie Linwood and Tim Williams will give a practical introduction to xylophones across Africa and Indonesia. They will guide you through every aspect of xylophone making through practical demonstrations: timber and resonator selection, tuning methods of bars and resonators, and frame construction techniques. 11 – 12 noon Jamie and Tim will be joined by percussionists; Beau Stoker (South Sudanese rhythm specialist) and Chris Moore (drummer/percussionist), to run a hands on workshop teaching interlocking log xylophone techniques from Central Africa.